I scheduled a week's retreat at an abbey in South Carolina back in the Spring. There are only 12 rooms for retreats so they fill up pretty fast. I arrived today after arising at 2:30 a.m. and traveled 475 miles to get here. That was step one in my adventure since I haven't driven that far alone for five years. The rheumatoid arthritis has challenged me in tasks I took for granted and the amount of wrist, finger and hand work it takes to drive made me not want to do so for long. If you let that kind of thinking go on long enough, it'll end up a fear and you'll go from something being a challenge to it being an impossibility. I could see I slipping there fast, so I took a 5-1/2 hour trip in September to Pennsylvania. That broke the pattern and enabled me to make this longer trip to SC. 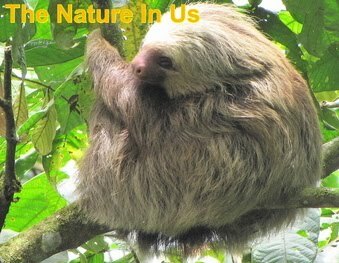 I think I'm now about as ready as I can get to embark on my nine-week Costa Rica trip. I've been used to having my husband as chauffeur, bellhop and body guard. Now I had to take the first two jobs and leave the third to God. The Lord gave me a beautiful day for the drive and I enjoyed seeing Autumn come back into view the further south I went. We've already lost all of our Fall colors in Virginia. As I took the turn off the interstate and drove several country roads to reach the abbey I had the feeling that I was leaving the world behind. As I turned in the gates and drove down the long road lined with live oaks and draped with spanish moss, I felt like I had stepped back in time. Little did I know how true that was going to be. After checking in with the Guestmaster, I unloaded my car and got settled in. Another person had checked in at the same time and having been here before, was asked to show me the way to meals and chapel. The brochure I received showed me that monastic days were very well ordered. The monks rose at 3:00 AM and had ten (10) short chapel services per day. Silence was the loudest part of the lifestyle at the abbey, but that would prove to become almost mystical. 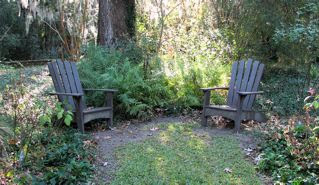 The many paths and gardens were enchanting, as were the many inviting chairs and benches placed amongst them. 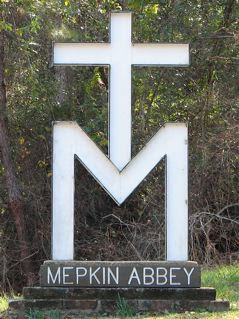 Mepkin Abbey - Day Two.